While Hot Toys / Side Show Collectibles has been getting into the Star Wars: The Force Awakens in a big way, with bringing multiple figurines from the upcoming film. 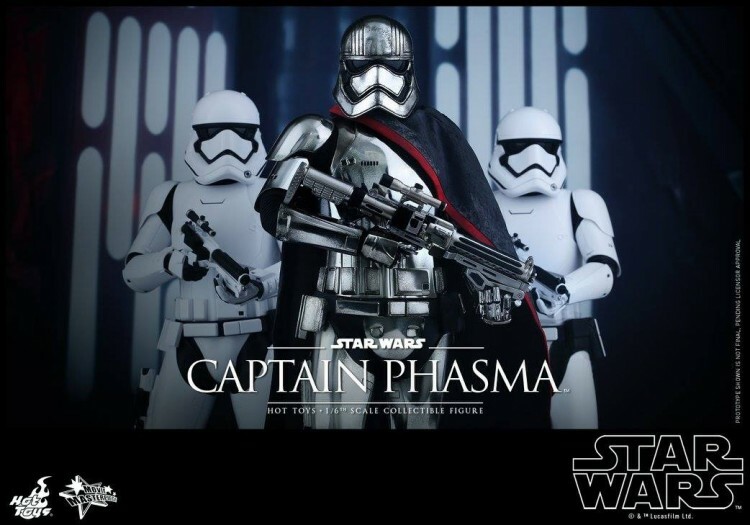 It’s pretty safe to say that no figure comes close to being as desirable as the super popular Captain Phasma (Hell, I’m still trying to get a Black Series Captain Phasma), regardless of who toy line she was from. And Hot Toys isn’t blind to that fact, so recently they put out a teaser for the Captain, which can be seen above. This put many collectors and fans of Captain Plasma on notice. Well now, they’ve released even more images of the figurine and they look great, especially with the weathering details. 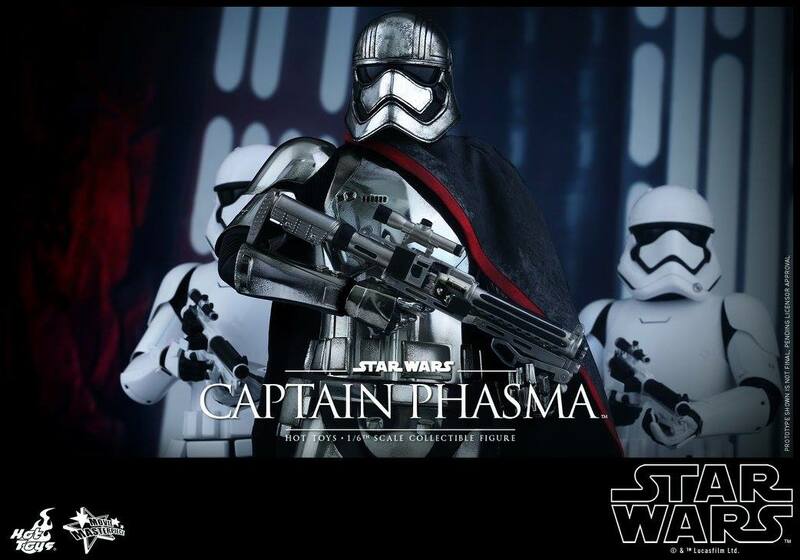 Also notice that this is the first Captain Phasma (if I recall) that has the shiny chrome look to her, vs the dull looking chrome. These images come directly from the Hot Toys Facebook page, here, and while the figure isn’t on sale just yet, it’s nice to see the work that’s gone into recreating the character. And rest assure, if you sleep on this, well you’ll probably want to kick yourself, as this is definitely going to get sold out pretty quick. There’s no price for the figurine just yet, but keep checking their website at, as it’s coming soon. 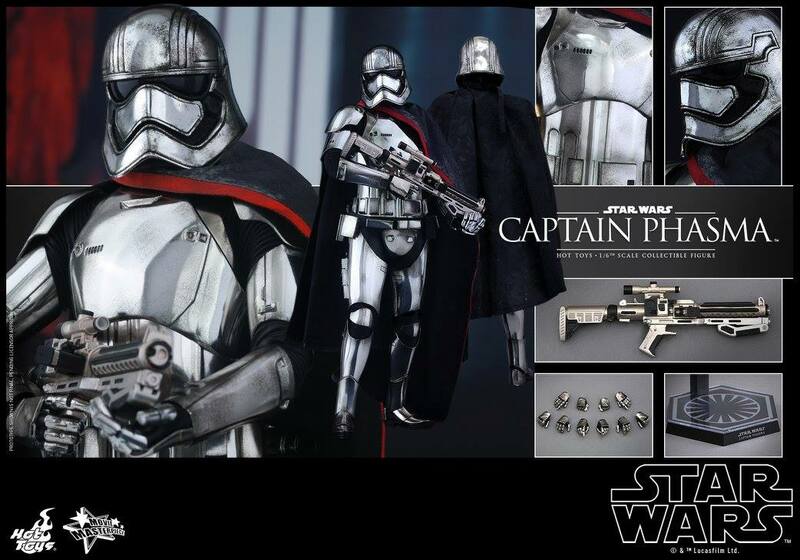 Update: Hot Toys has officially posted the Captain Phasma figurine, and it’s up for sale for $249.99 and will ship during May 2016 – July 2016. Head on over to the Hot Toys site here to get your pre-order on. Captain Plasma, ladies and gentlamen!